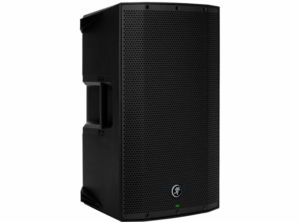 Conference Audio Visual have recently invested in a large stock of Mackie 12BST powered speakers to add to our extensive hire product catalogue. 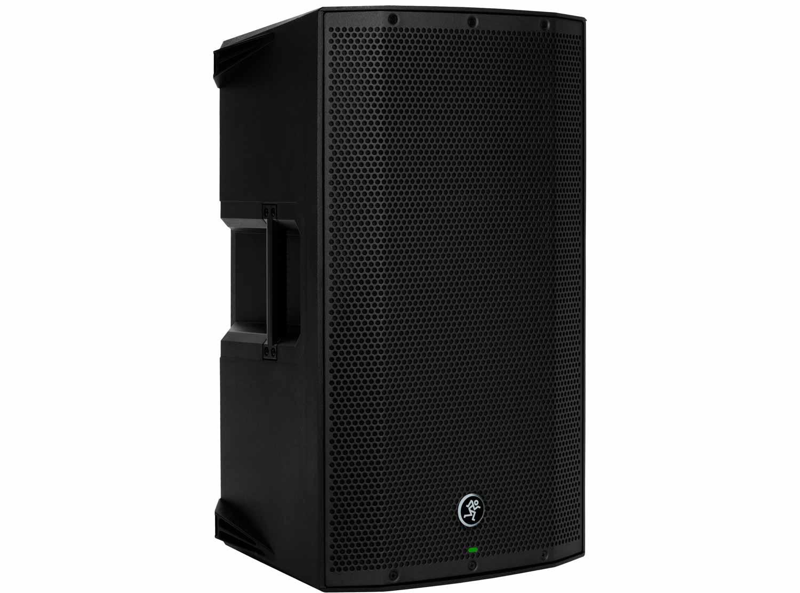 After testing may different boxes from manufacturers including DB Technologies, JBL, Turbosound and RCF we settled on the Mackie box for overall performance, durability, reliability and price point. Being a primarily a AV hire company our choice in products must take in to account both performance and affordability so we can offer our customers our best possible pricing and be safe in the knowledge that the product we supply will simply work. Cosmetically the box is extremely neat with sharp lines and an almost matt finish ensuring it won’t look out of place whether it be in a high end corporate environment or on stage being used as a fold back wedge for a band. The front panel has a single green LED which can be switched off via the rear panel or app if you really don’t want the speaker to stand out. The outer shell of the speaker is a mix of black power coated metal and hard ABS plastic with a robust scratch resistant finish ensuring whether it’s on its first or hundredth hire it will look brand new. Functionally the speaker has a multitude of features to please even the fussiest technician including a full colour LCD control panel on the rear. From this control panel you can adjust each input of the speaker which are the two XLR and 1/4″ Combo inputs and a Bluetooth input, there is also a master volume control as well. 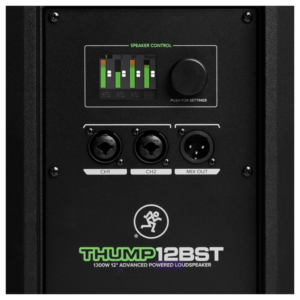 The Thump includes multiple pre-programmed EQ settings to get the most out of your speaker. It features high quality wireless audio streaming and linking allowing Stereo linking of two Thump speakers for convenient wireless music playback. They sound very clear, full, with plenty of volume and balanced sound across the frequency spectrum. These speakers respond very well at low, mid, and high frequencies, and have versatile equalisation settings built in, we found we ran them flat most of the time but it’s reassuring to know with a flick of a switch you can achieve a big bass sound if needed. Overall, we found the sound to be pristine, and expect they will be utilised for a myriad of projects in the coming months. If you’re looking to hire a sound system or just some great speakers look no further than Conference Audio Visual for a complete solution!